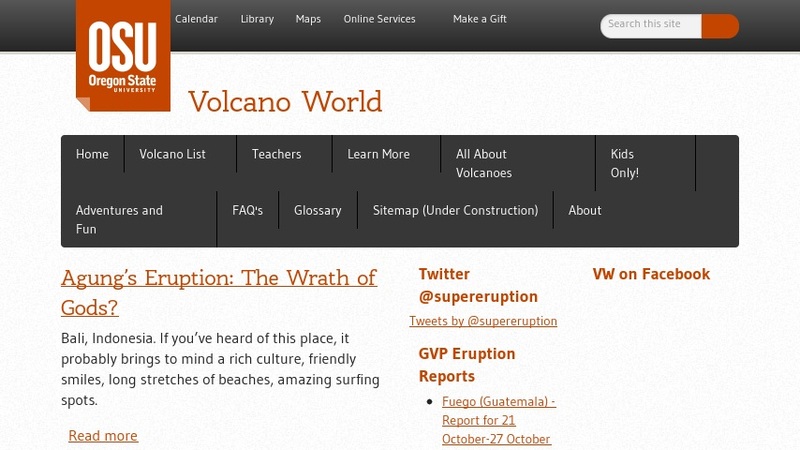 This site presents a summary of current volcanic eruptions and images and videos of volcanoes on Earth. Discussions of the characteristics of volcanism on other worlds in our solar system are also presented and are accompanied by maps and imagery. Links to volcano observatories, parks, and monuments around the world are also included.